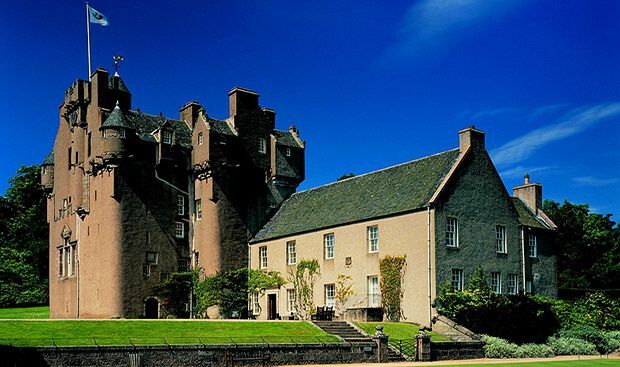 Three-day festival throughout Crathes Castle. David Welch and David Elston explain the diversity of the flora at Crathes Castle's garden. Suitable for adults. Family-friendly Easter egg hunt on the grounds of Crathes Castle, with plenty of chocolatey prizes to be found as well as music and arts performances to be enjoyed. Seek out paranormal activity at historic locations with the Scottish Ghost Nights team. Sponsored walk and fun day, raising awareness and funds for CLAN Cancer Support. There are two routes to choose from: The Banchory Big One (15 miles; for ages 12+) and The Milton Mini (3 miles). Annual plant fair where you can buy some plants to give your garden and home some new colour. Fairytale-like turrets, gargoyles of fantastic design and the ancient Horn of Leys given in 1323 by Robert the Bruce are just a few of the features of this historic castle. The Crathes gardens and estate are ideal for a family day out. A delight at any time of year, the famous gardens feature great yew hedges and colourful double herbaceous borders. Further afield, the 595-acre estate offers six separate trails to enjoy.